In announcing our next-generation Adara Pulse system featuring Adara’s unique iC3 Smart Controls technology, we’ve given residential solar energy users a new level of intelligent, stackable-to-20kWh storage. The Adara Pulse can be ordered now in California to take advantage of California’s Self Generation Incentive Program, and will be available nationwide in the third quarter of 2017. Behind-the-Meter Opportunities Are Here Now, But Are the Systems? There are burgeoning solar power cost reduction opportunities to take advantage of now, but they require a proven solar power storage solution that’s ready to go today. Some energy storage system makers have impressive stories to tell, but may not have the necessary proof points—physically installed systems running in the field. That’s an important caveat for customers who are ready to take advantage of real incentives being offered in the market. They need installable energy storage systems that deliver real results and reliable service. Adara Power today announced five financing options and a partnership with the Electric & Gas Industries Association (EGIA), a non-profit organization dedicated to advancing energy efficiency and renewable energy solutions through the home improvement and renewable energy industries. Through the EGIA, contractors can apply for third-party financing programs that are pre-approved for the Adara Power residential and commercial energy storage systems. 2017 is here and so are new developments in the energy storage market. As the appeal of energy storage increases, so do policies and technologies to meet demand. 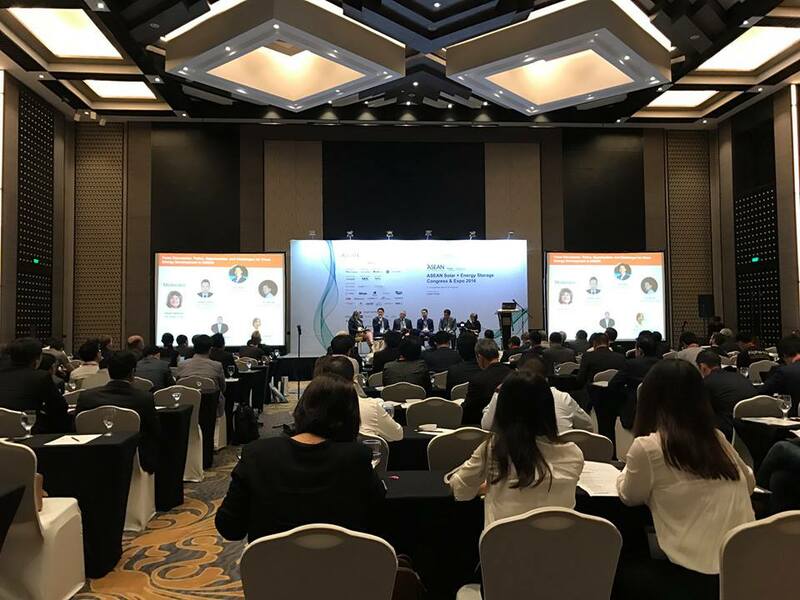 Among predictions of an assault on federal tax credits, cybersecurity concerns, price drops, and industry expansion, we have energy storage predictions of our own for the year to come based on our extensive install base across the U.S.
Greg Maguire, Co-founder and VP of Sales and Marketing of Adara Power, recently attended the ASEAN Solar + Energy Storage Congress and Expo, the largest congress in the region focusing exclusively on energy storage market. With high-profile attendees representing governments, utilities, independent energy producers, energy storage products manufacturers, and consulting companies, the conference agenda spoke directly to the applications, opportunities, and challenges for solar and energy storage development among the various Southeast Asian nations, such as the Philippines, Indonesia, Vietnam, and Thailand.